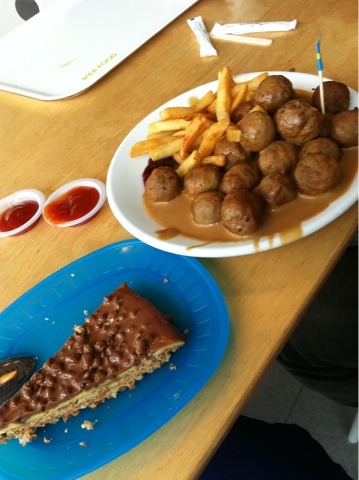 As many and many knows, IKEA's meatball is the awesome'est! It's alot of trouble eating there because you have to queue (If u go on a weekend), and it's self service and u have to fight for your own seat. But there's a reason why it is so crowded there! Not forgetting the Daim cake which I would prefer over the IKEA meatballs. Hehe, I'm a person with a sweet tooth! Am gonna go there one of these days again!